WheelTurnerHawaii.com: TOMORROW. H.W.O.S event 5. Tomorrow is the day. 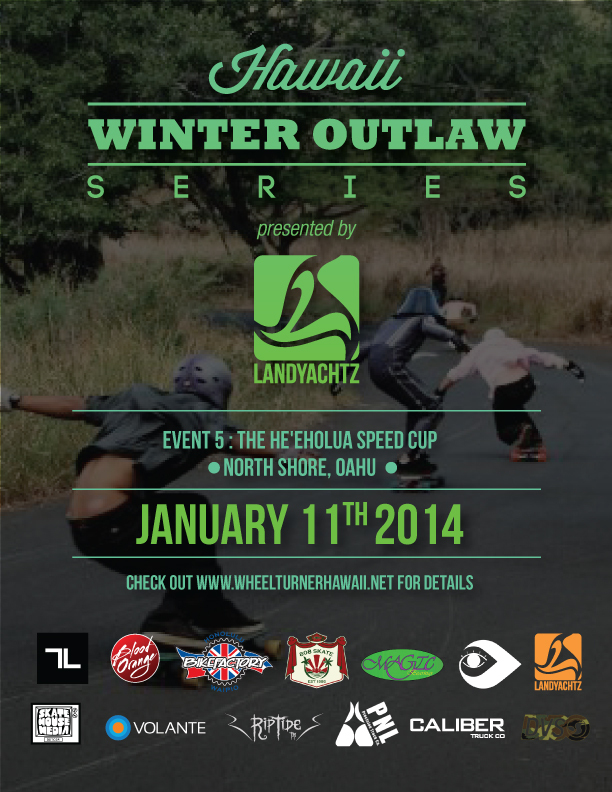 Event 5 of the Hawaii Winter Outlaw Series, The He'eholua Speed Cup is going down. Be ready for some fast fun! See everyone bright and early, Bring your Helmet, Gloves and Waiver!